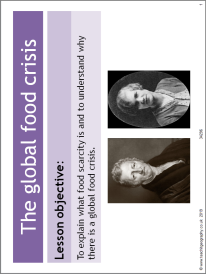 This resource focuses on issues of food scarcity. Students compare theories of Malthus and Boserup and identify issues related to the global wheat crisis. This resource includes differentiated activities and an examination style question.